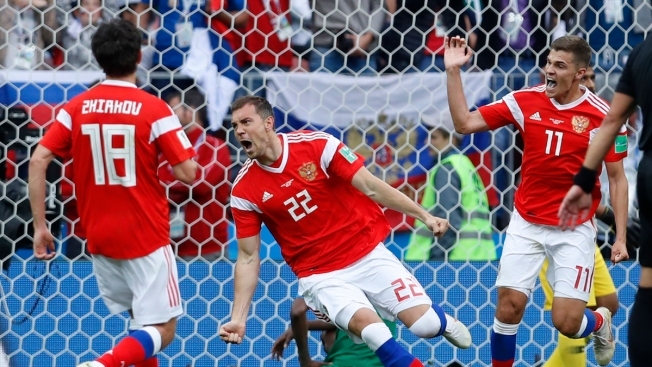 Russia's Artyom Dzyuba, center, celebrates after scoring his side's third goal during the group A match between Russia and Saudi Arabia which opens the 2018 soccer World Cup at the Luzhniki stadium in Moscow, Russia, Thursday, June 14, 2018. Russia, ranked 70, and Saudi Arabia, ranked 67, are the two lowest ranked teams in the 2018 World Cup. 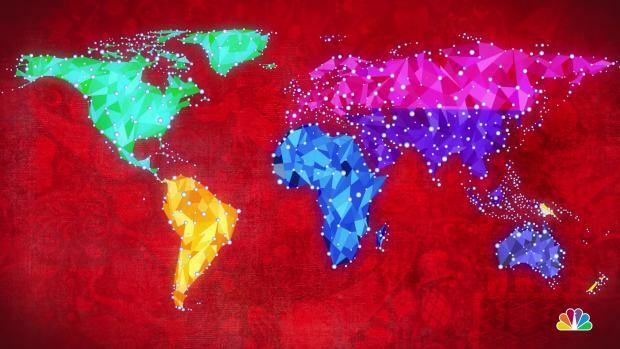 A host nation has never lost a World Cup opening game. This is Saudi Arabia's first World Cup since 2006. Russia's next match will be against Egypt on June 19. Pizzi won the 2016 Copa America title with Chile using an all-action style with constant pressure on the opposition. 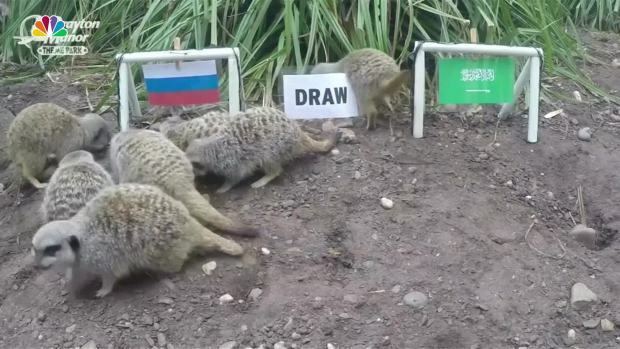 Meerkats at the Drayton Manor Zoo in England gave their predictions for the 2018 World Cup matches for Russia v. Saudi Arabia and England v. Tunisia. That forced Cherchesov into some late shake-ups. Cherchesov abandoned his usual three-man backline with wing-backs in favor of a four-man defense against Austria last month, but Russia lost 1-0 and failed to register a shot on target.